On August 19, Canon announced the launch of the new flagship PowerShot digital camera, the G11. Having shot extensively with a G10 this summer, I’m ambivalent about upgrading to the G11. For one thing, I welcome the better low light capabilities. While the G10 showed some noise when shooting in low light, it was acceptable when I compared it with other non-DSLRs on the market. If the G11 improves on that, great. 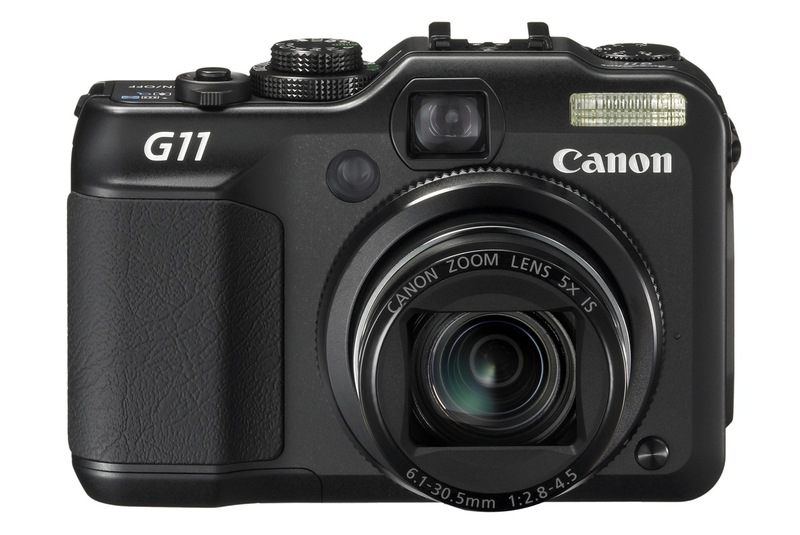 The G11 also has lower resolution than the G10 (10 megapixels instead of 14.7 megapixels). I’m no fan of gratuitous resolution, so I’m reserving my judgment on this until I get my hands on a G11. Canon says they did it to improve low light capabilities, and I believe them — if the low light claims prove to be accurate. There’s only so much resolution you can squeeze out of the same sensor size before noise becomes an issue, even at lower ISOs. What I’d also like to see from the G11 is a better dpi setting. One of the main differences between DSLRs and consumer-grade digital cameras is the dpi setting of the images they output. A regular digital camera will output its images at 72 dpi, which is the equivalent of screen resolution, while most DSLRs output their images at 240 dpi. That’s why — unless you tinker with the dpi setting in an image editing program — you can get a larger print from a 10 megapixel DSLR image than you can from a 10 megapixel regular digital camera image. The Canon G10 and G11 output their images at 180 dpi. That’s pretty good compared to 72 dpi, but it’s still not 240 or 300 dpi. I would love to see the G11 give me 240 dpi, right out of the camera, without needing to change that setting in post-processing. The G11 is also slightly more sluggish than the G10 when it comes to shooting speed (1.1 fps vs. 1.3 fps). It’s probably due to the extra computations it performs on each image, but one would think shooting speed would at least stay the same, if not increase, with each camera generation. The G11 also has a smaller screen than the G10 (2.8 in vs. 3.0 in). I understand this is due to its nature (swivel vs. fixed), but having that larger screen on the G10 was really nice. Still, the swivel screen should allow for more creative angles, so that could count as a plus. Battery life is also a bit of a downer. On the G10, the specs say the battery lasts for about 400 shots. In real life conditions, it last much less (about 200-300 shots, depending on how sparingly you use the optical zoom). On the G11, the specs say the battery life is about 390 shots, and is likely to be much less than that in real life conditions as well. Couldn’t Canon have used a different battery or done something to improve the battery life? After all, the display is slightly smaller as well, so that should take less juice to power up. Sure, the battery life is said to be markedly better when using the viewfinder, but have you tried using the viewfinder on either the G10 or the G11? It’s more like a fuzzy rangefinder. It’s terrible. So there you have it. Not much to brag about when it comes to the G11. Nothing revolutionary when it comes to the upgrades, and let’s face it, not even something that I, along with many others, expected, like HD video. The better low light capabilities sound interesting, and if the camera delivers enough on that end to compensate for the decrease in resolution, the G11 may be worth your money. I did like the G10. It’s a great camera with many advanced capabilities. Let’s hope the G11 can live up to its predecessor. If you’d like to buy the G11, you can do so from Amazon or B&H Photo. Images used courtesy of Canon. Previous Post Is global warming a cyclical event? Next Post How about a real Apple TV (an Apple tablet)? I’ve had the G11 for just under a year and its an amazing little beast. Carry it around all the time and have taken lots of photos. Loved it so much that its inspired me to create a blog! Raoul – you are right, it’s not worth the money. I’m a pro photographer using mainly a Canon 5DMkII. Purchased a G11 4 months ago as a back up, because one of my agencies seemed prepared to accept shots from it – at a pinch. It’s clumsy, awkward to use compared to a DSLR and has many functions I don’t need. So far it has caused more probs that it’s worth – RAW and JPEG (in P mode) can be set in more than one way and the camera will drop RAW shooting in certain circumstances, so you have to check every shot. The Mute switches on un-commanded. And the LCD screen goes blank without warning, which is a pain because the viewfinder is crap. Much of this could be faulty firmware and software faults that should have been spotted in development. The camera is going back to Canon when I get back to the UK with a very long list of complaints. It isn’t – wasn’t – worth the money; should have stuck with the Nikon D80 as backup, despite the weight. I might even try to get a refund. I understand what you are saying Raoul, but in reality no camera has a DPI setting as it is irrelevant. What is happening is that your camera is inserting a meaningless DPI number into the .jpg files metadata. I have no idea why a camera would do this, but it appears to be common practice. When you open up the file in your image editing software it sees that number and may use it as the default when you go to print the file. I do not see why it is a big issue to change the embedded DPI number as no single number is appropriate for all output situations anyway. If you are creating a .jpg for web use you might assign 72 or 96 dpi to the image. 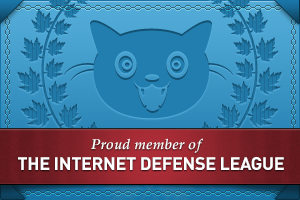 (Although a web developer will often constrain the x & y dimensions of an image on the page in pixels, making the embedded dpi number irrelevant.) If you are making a small print, you might want to print at 300 dpi or for a very large print possibly 180 dpi. So you are probably going to change the value anyway. The DPI number has no bearing on the number of pixels contained in the image or the quality of the image as it comes out of the camera. I edited the post to reflect the clarifications you and Jeff made, thank you both for that! I’m still sticking to part of my original statement — that of wanting to see a better dpi setting on the images I get out of the camera. I understand you can change it afterward — and I do change it afterward — but still, it’d be nice to have it done automatically by the camera. As I mentioned in my previous comment, the fact that some cameras have their dpi set at 72 dpi or 180 dpi, instead of the higher 240 dpi of DSLRs — can probably be used as a good judgment of the quality of their images. I understand this has no bearing on the resolution, but if the manufacturer chooses to set a camera’s dpi at something lower, it’s likely that the pixel quality only warrants that lower dpi. If you were to increase the dpi and print the image at a larger size, you would see why the manufacturer wanted it to print at a lower size in the first place. I was also totally shocked by that statement as it’s plain incorrect. If a DSLR has better image reproduction, it’s due to Physical Sensor Size and better Optics. Simply put, there’s more light for a single Pixel. That’s also why i’m looking forward for the G11 as more pixels on the same sensor size is usually not better and i’m looking for a good underwater (=low light) cam. If you have an image say 4000×3000 Pixels, and you have it at 72 DPI (which used to be screen pixel density) it will be about 56 to 42 inches big. If you have it at 300 DPI, the size will be 13.3 to 10 inches. So that’s the maximum size for a 12MP image if you want 300 DPI. If you have a 13.3″ to 10″ Image with 72 DPI, it’s only 960 to 720 Pixels. You will see that on your print, but then again it’s also just a 0.7 MP Image. Even if the DPI of an Image is set to 72, you can change that to 300 without actually changing anything in the Image. See Photoshop’s Image Resize Function and untick “Resample Image”. The DPI is actually just a Meta-Information that Camera’s seem to set differently. If you see a difference, there’s either something in the way the image is prepared for printing or it’s due to physical differences of the CCD’s. Jeff, perhaps I didn’t explain it properly, or perhaps I don’t understand it properly. What I meant to say is that if an image is at 72 dpi, and you print it, the printer will give it to you at a smaller size (in inches or centimers) than if your image were at 240 dpi or 300 dpi. A pixel is a pixel is a pixel, I get that part. Perhaps where I was confused (up till now) is in thinking that changing the dpi of an image would also change its quality, so that if your image were at 72 dpi, increasing that to 300 dpi would make it fuzzier. Otherwise why is there a difference in the dpi setting between regular digital cameras and DSLRs? It’s a markedly different setting, something that sticks out. Or perhaps there’s simply a difference in the quality of the pixels between a regular digital camera and a DSLR, so that printing a 72 dpi image at 300 dpi will show its defects, whereas printing a 240 dpi DSLR image at 300 dpi will work just fine, provided the DSLR is of good quality. Can you clarify that part? The camera and it’s imaging chip have nothing to do with DPI. DPI is assigned to an image for display our printed output only. A 12 MP image from a point and shoot or a full frame DSLR both contain 3000×4000 pixels for instance. A DPI value can be assigned to the metadata within the image file to indicate to the output device how large to display or print the image, but that number can be changed to anything you want and the underlying image size in pixels in unchanged.